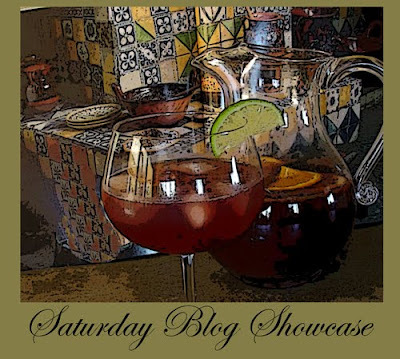 Thank you to Lori for hosting this week's Saturday Blog Showcase. Visit Lori at All That Splatters and join in the fun. 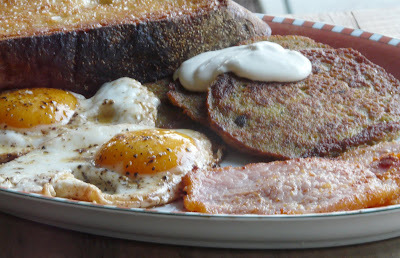 We had Potato Pancakes for breakfast topped with a dollop of Creme Fraiche and served with Peameal Bacon (My favourite bacon) local farm fresh eggs and toasted homemade bread. The recipe for the pancakes comes from the blog Edible Aria. Like most recipes, even those I'm trying for the first time, I made a couple of minor adjustments.. I increased the green onion, added a little flour and a tablespoon of melted butter to the mixture. These were so good. I think that potato pancakes will be on the menu more often in the future. The second recipe I'm showcasing comes Melissa (BitchinCamero.) 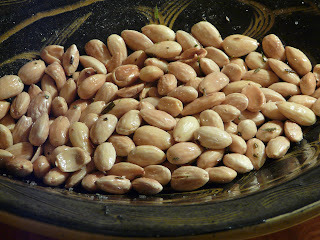 Rosemary Fried Almonds. A very simple recipe that takes no time at all. Moe and I enjoyed them tonight with a glass of red wine. Another keeper. Please visit both of these blogs. They were new to me and I found lots of great recipes and amazing photos. Peel and cube potato. Pulse in food processor. Add egg and process until almost smooth. Add green onion, parsley, melted butter, salt, pepper and baking powder. Pulse to combine. Heat frying pan or electric skillet to medium. (350 to 375°F in electric skillet). Add butter. Pour pancake batter into pan and cook on each side until golden brown. Serve with sour cream or creme fraiche. Heat olive oil in large skillet over medium high heat. Add the almonds and saute for a minute or two before adding the rosemary and the salt. Stir almonds to make sure that they brown evenly. Cook for an addition 3 to 4 minutes until they are golden brown. Be careful not to burn. oh my those almonds look gorgeous!n the potato pancakes too! such simple recipes yet so good! 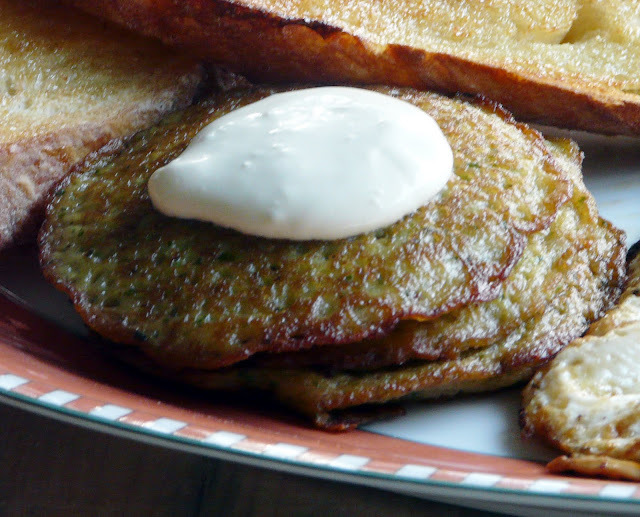 Your breakfast looks so delicious Ann, The potato pancakes with the green onion and creme fraiche with those eggs and bacon are making me drool lol. 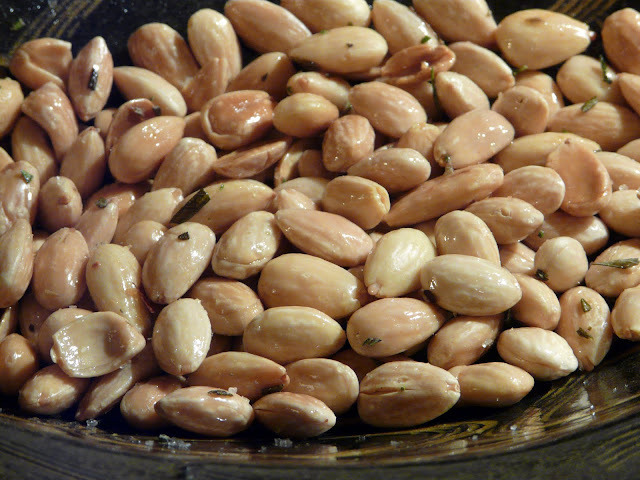 The Rosemary almonds sound like the perfect partner for a nice glass of red wine. Great idea to showcase and share recipes. happy weekend, Kathy. My hubby ♥ ♥ ♥ potato pancakes, Ann & since I just got a new food processor for Christmas, this is going to make it very easy to try your recipe. No more grating & nicked knuckles. I've never heard of Peameal Bacon, so I have to go look that up. I never fail to learn something from you with every visit. And who would have thought to combine rosemary & almonds??? My poor rosemary is frozen outside on the deck but next spring, I'll give this one a go. It's hard to chose which looks more scrumptious.... those pancakes are wonderful! Hi Ann ~ those look like winners ~ both are great finds. That's what I love about Saturday Blog Showcase... discovering wonderful recipes that I would have missed if it weren't for other SBS participants featuring them. Those almonds would be perfect treat to take to work! And the potatoe pancakes look delicious. Potatoes rule with me, well maybe tie with chocolate ;-) Send them my way....I love new recipes for them! These nuts sound so interesting...I'll have to give them a try, as well! Thanks, Ann and thanks for Saturday Blog Showcase. Decidedly delectable! Big YUMS up for these! I love potato pancakes. I'll have to try this recipe. Looks delicious, Ann. Your almonds sound good, too. They look like marcona almonds to me. My favorite! Oh my, what a delicious breakfast. I'm always looking for new ways to serve potatoes and love this quick and easy recipe.